Will the Rio Olympics Restart Our Collective Hearts? Our family’s preparation for our trip to the upcoming Rio Olympics are underway. We have made the trek to REI. We bought mosquito repellent hooded jackets and pants. We learned that we can wash regular clothes with chemicals filled with DEET to ward off blood thirsty insects. As I begin to fill my washing machine with loads of clean clothes and DEET, my mind wonders and my mother instincts kick in. Should we even go to the Olympics? Will the Olympic’s bring the world together in sport and harmony for 15 days, or will it be a catastrophe as predicted by so many news outlets, most recently by a July 1st New York Times article? Every time we open a newspaper or watch the news we hear about a world in ruin – the Zika virus, Military Coups, Britain exiting EU, Orlando, Pokemon Go accidents, Nice – – the list goes on. The Olympics open in less than two weeks on August 5. What kind of experience awaits the world? Will the world continue to spiral in demise or will it rise? Even if we don’t have political leaders or national events that inspire us, thank God for artists and athletes. Katy Perry just released the official NBC song “Rise” and hopefully, like the paddles used to send an electric shock to help restore the heart’s rhythm, the song and the Rio Olympics will restart and reset our collective hearts. I remain hopeful and I pray – – – Rio will reveal a world on the rise – filled with sportsmanship, courage, peace and love. I look forward to bringing reports from Rio in the coming weeks. Stay tuned. 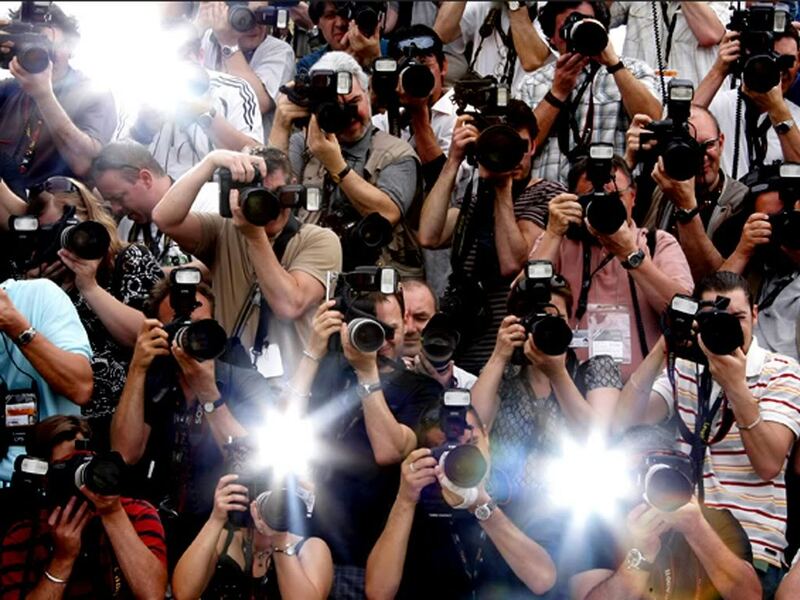 . .
What Can We Do to Protect LA from Dangerous Paparazzi? Like bees that pollinate flowers, paparazzi sometimes have a symbiotic relationship with celebrities. However, paparazzi, like bees, can also be known to sting and hurt on occasion. Yesterday, an innocent person was killed on Pacific Coast Highway in a terrible accident involving a local celebrity. Whether the Paparazzi caused or contributed to the incident has yet to be determined. Nevertheless, the pictures published on a well-known website show that at least one paparazzi was on the scene – before, during and possible after the “accident”. This paparazzi photographed the entire tragic accident as it occurred. Coincidence or contemplated? We may never know. What do we know? LA and Malibu are magnets for paparazzi. Many paparazzi in Malibu do their job within the law. They are respectful of the people they photograph and the people who live and visit our town; however, there seems to be a new breed of paparazzi who act with reckless disregard for the safety of residents, visitors, and children alike. When I was Mayor back in 2008, I received reports that this new breed of paparazzi: engage in high-speed car chases on PCH, our main street, travel in packs, run red lights, make unsafe, and at times, illegal u-turns in the pursuit of their subject. This reckless behavior extends into other areas of our community – our residential streets, elementary schools, parks, local shopping centers, and beaches. A blind pursuit for commercial gain can place people and children in harm’s way. On July 31, 2008, the LA Regional Paparazzi Task Force convened it’s first meeting at LA City Hall. The Task Force included local cities such as: Los Angeles, Malibu, Beverly Hills, Calabasas and West Hollywood along with the LA County Sheriff to consider what, if anything, can be done to insure all people and especially our children are respected and protected. The LA Regional Task Force received comments from individuals, law enforcement and legal experts. When panelists were asked if they would be willing to follow through and go to court to pursue paparazzi issues, a task that would take time out of their busy schedules, the panelist testifying seemed reluctant to commit. On that same day, LA Police Chief William Bratton commented that the paparazzi have become less of a problem thanks to celebrities such as Britney Spears, Paris Hilton and Lindsey Lohan leading more moderate lifestyles. On September 29, 2008, the Task Force convened in Malibu and heard testimony from a local elementary school principal which attested to the problem when paparazzi visited schools especially during drop off and pick up. The task force produced sample ordinances which could be enacted in the future pertaining to school safety zones. The Task Force recommended that a Citizen’s Guide be made available to the public. This Guide outlined current laws that could be enforced and is attached at the top of this blog and is entitled Paparazzi Law Charts – Citizen’s Guide. Just this past Friday when I was picking up my children from a school bus stop, a paparazzi was there in a car driving, taking pictures and literally stalking a local celebrity Dad who was picking up his very young child. My kids were startled by this stalker and we talked about the incident afterward. What can they do if they are thrown in the middle of a show down? I told them to get out their phones and video tape the assault so they could have a record of the behavior. Little did I know, only a day later a fatal accident would occur which may or may not have involved paparazzi stalking a star. Should we all just go about our business and say nothing more about this? Or, is it time that we all start talking about this issue and think about what we can do to protect the people in our community and the world. What will you do to keep our kids and community safe? Please share your thoughts and join in this dialogue. Back to School – Back to Voting. Why your vote will matter on November 4, 2014. Even though I lost the LA County primary election on June 3rd, I still haven’t lost my desire to help make LA County better tomorrow than it is today. It’s easy to talk the talk, but who will walk the walk when it comes to investing in Children and Education? While Bobby Shriver served as a local Councilmember and Mayor for the City of Santa Monica, he put money into education. Unlike Sacramento, which cut funding to education, Bobby helped to secure at least $441 million dollars for local public schools — even during the Great Recession. This funding has made a world of difference in education for so many families and children. Bobby voted for eight city budgets that gave $8 million dollars a year to public schools, including paying for a master lease for playgrounds could be used after school hours. In those same budgets, the city of Santa Monica included $37 million dollars a year for school-based and community programs for Santa Monica Public School students. In May 2009, Bobby also voted to approve $81 million dollars of redevelopment funds for the Santa Monica High School joint use. Bobby also voted to place propositions on the ballot and the voters of Santa Monica voted to support giving half of the proceeds of an increased city sales tax of 1/2% to Santa Monica public schools. Prop YY is now averaging $7.5 million dollars per year directly to local schools. Bobby listened to the local community and invested in children. He also put into these measures oversight and other protections to make the accounting publicly available. His smart local approach is what he will bring to the entire 3rd District as the next Supervisor. 87% of people in LA County didn’t bother to vote in the Primary election in June. Now the question is, who will you be voting for on November 4 and why? I will be voting for Bobby based on his record of service. Will you be joining me?